That pesky groundhog predicted six more weeks of winter, and so far he was right. With freezing temperatures and terrible winds, all you want to do is curl up in your apartment and hunker down until spring. Turning up the heat is the quickest way to warm you up on frigid days, but that can be pricey. 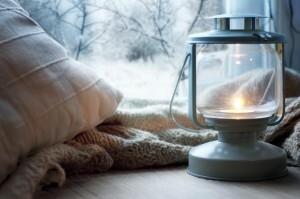 Be prepared with a few money-saving ways to turn your luxury apartment into a winter-weather den of warmth without having to crank up your heat. When you return from your brave venture into sub-freezing temperatures, your apartment better be decked out in warming accessories. You’ll need to thaw, and in a chilly apartment that can be tough. Flannel sheets and a down comforter are winter must-haves. They’ll keep you extra toasty when you go to bed. You can also throw an extra blanket on top for those especially cold nights. Think warm thoughts with winter-ready decor. Changing up the look of your apartment can put you in the right frame of mind for winter. When you see fluffy blankets, radiating candles, and sultry warm hues, you’ll start warming up right away. Put your oven to good use. Bake anything and everything you can think of. Stick to dishes like casserole that have lengthy cook times to keep your home warmer for longer. What’s more satisfyingly warm then indulging in a freshly-baked chocolate chip cookie? If you’re chilled to the bone, blankets might not do the trick. Brew up some super warm tea or coffee. You can even go a little sweeter with divinely warm treats like hot chocolate and hot apple cider. Warming up your icy toes is one of the fastest ways to reach optimal warmth. Make sure you’ve got some quality slippers and fuzzy socks on hand. If you’ve got wood or tile floors, you’ll want to invest in some rugs. They’ll protect your feet from freezing cold flooring. Invite some friends over to boost your body heat factor. The more people, the warmer it will be, and the higher chance you’ll have of finding someone to snuggle. Throwing some clothes in the dryer is an excellent way to warm up your little apartment. The dryer will let off heat, and you’ll have freshly warmed clothes to put on when they’re done. This entry was posted on Friday, February 20th, 2015	at 9:26 pm	. Both comments and pings are currently closed.